I knocked this apple & pear pie together mid-week as I went a bit crazy in the fruit department and bought way too many apples and pears. I marinaded the sliced fruit (more apples than pears) in lemon juice, sugar, brandy, cinnamon and nutmeg and used a store bought shortcrust pastry. Easy peasy. 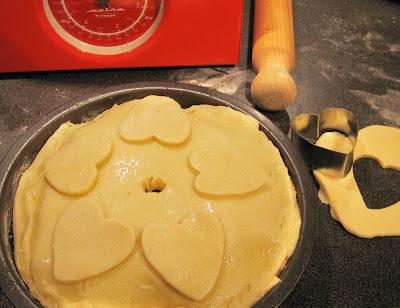 But baking doesn't necessarily have to be a weekend activity with a few corners cut like this but I would have to be seriously short on time (or sanity) before I used tinned mince in anything! Delia indeed.